APSI plays a leading role as a thought leader in advocating for social enterprise in Canada and abroad to build healthier, safer, and more prosperous communities. Congratulations to Health-Bridge, an APSI company, on being selected as 1 of only 3 winners of the Healthy Generation Fund. Funded by the Institute for Healthy Policy, Management, and Evaluation and the Institute for Global Health Equity and Innovation at the University of Toronto's Dalla Lana School of Public Health, the Healthy Generation Fund is focused on social innovations for improvement in equity in the healthcare system. Winners are provided with a cash infusion, mentorship over the implementation period, and more including a public lecture to showcase the innovation tool alongside a health systems thought leader. The announcement can be found here. Canadian among 15 Fellows selected from across the world for The Aspen Institute - Philanthropy & Social Entrepreneurship fellowship. Travelling in from as far as Hong Kong and Uganda, the 2017 Fellowship class included only one Canadian, Kevin Vuong, who leads The Agency for Public + Social Innovation. Her Majesty The Queen's Young Leader for Canada, recognized for service and impact to community, and leadership in Commonwealth. 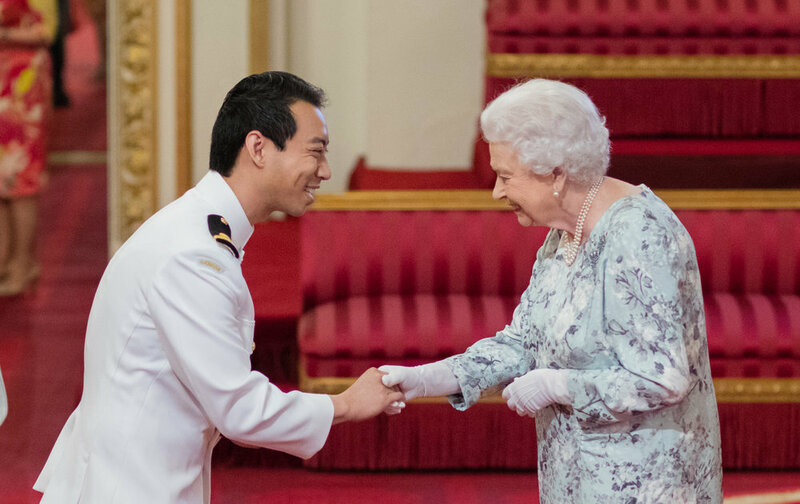 With leaders selected from across the Commonwealth of 52 countries, award winners spent time at a residential leadership program at the University of Cambridge, met and worked with UK leaders in social enterprise, business, and civil society, which culminated in an Award Ceremony at Buckingham Palace where they met Her Majesty The Queen. Decent work and social enterprise is not just about employment and the economy, it's also about building healthier & safer communities. Isolation does not only negatively impact one's mental health, but it also increases their vulnerability to radicalization. Social enterprise can serve as a vehicle to help combat the root causes of extremism. New financial models for achieving health equity. There are two primary functions of social innovation in health promotion: as alternative health service providers and as a form of upstream intervention that addresses the social determinants of health. Bridging academia and community - translating research into action and social impact. YouthREX and NOISE Fellows actively work with youth and community to ensure it's relevant through knowledge mobilization, capacity building and evaluation leadership. This alongside social enterprise is how we build healthier livelihoods, sustainable development, and social impact.